Sitar, Bansuri (Indian Bamboo Flutes), Silver Flute Soprano and Alto Saxophone, Dilruba (bowed and plucked), Santoor, Swarmandal, Tamboura, Voice, Percussion. My special thanks to all the musicians for their enthusiasm and inspiration, to my sitar teacher Ustad Usman Khan for his heart and incredible musical depth and to Amito, Vasudha, Niten, Waduda, Bhikkhu, Sambodhi Prem and Unmani for their love and support. This album is dedicated with gratitude to Osho. Life is just a river, al Ong River – Each river, small or big, dissolves into the ocean, finds its way without any guide, without any sutras, without any masters. It may go astray, zigzag, but finally it reaches to the ocean. And that reaching to the ocean. And that reaching to the ocean is becoming the ocean. That is the rebirth. That’s what we mean by meditation. That’s what we mean by meditation. That’s what we mean by the Zen Manifesto. Every river is destined to disappear one day into the ocean. Go dancingly, go joyfully. There is no need to be worried, there is no need to be hurried. The ocean is waiting – you can take your time, but take your time with joy, not with tensions and anxieties. Rejoice and dance and sing and love, and finally you are going to disappear into the ocean. The ocean is always waiting for you. Even though you are far away from the ocean you are part of it, always reaching, always coming closer to the ocean. Everybody is going to become a Buddha today or tomorrow – and there are only seven days in a week, so you can choose…! 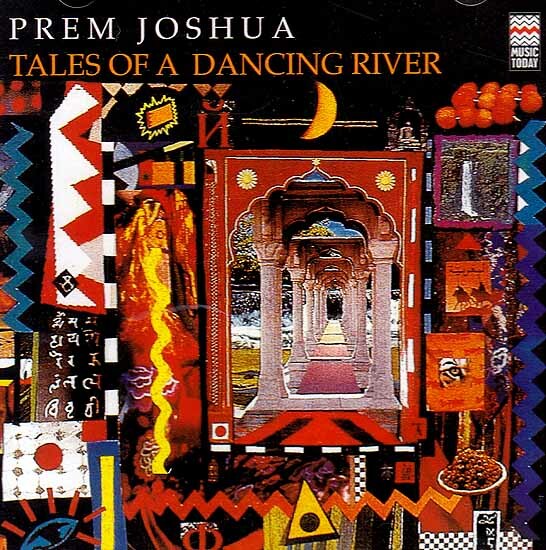 On this album Prem Joshua combines the magical atmosphere of a great variety of Eastern instruments (sitar, bamboo – flutes, santoor etc.) with the sounds of soprano saxophone and keyboards to take the listener on an adventurous and harmonious musical journey along a “Dancing River” from its source, to the ocean.